You dropped your phone and broke the screen. This can happen to anyone. Fortunately, the replacement screen in your phone is a relatively simple operation. All you need is the display and a special set of screwdrivers. Do not panic even if your phone is worth several thousand. Display - not the most expensive part. Screens most phones are sold at a price of about 300 rubles. Only very large displays cost about a thousand rubles. Take your phone to a store that sells spare parts for cell phones. Show it to the seller and he'll tell you what kind of screen you need and whether it is available. If you are going to change the display independently, and the special screwdriver you have, purchase at the same store and their. In any case, do not attempt to open the phone in the normal screwdriver. You will ruin the splines on the screws, and then remove them will be impossible. Do not place the screen in a pocket - it is very fragile. Bring it home in the package. If you have even a little doubt in their abilities, better give me your phone and display in your nearest workshop. You will spend to replace it more money but the result will be guaranteed. If your phone has a touchscreen, it for the replacement display is better not to take even the most experienced house master. Enter in a search engine query of: "how to replace display in (the model name of phone)". Find illustrated step by step guide to replace the display in your phone. Select the screwdriver set bit corresponding to the slot type screws, used in your phone. Place it in a screwdriver handle, then immediately close the box from the set, so as not to lose other bits.Turn off the phone, remove SIM card and battery. Put them in a place where they will not be lost. Examining the phone, exactly follow all the recommendations of the guide. All the details that are small enough, put not on the table, and in a jar. Otherwise, you can one careless movement to wipe them from the table onto the floor. This is especially true of screws. Make sure to note, the screws of which lengths correspond to which holes in the phone. Replacement display in most cases is carried out without soldering, so soldering is not required. 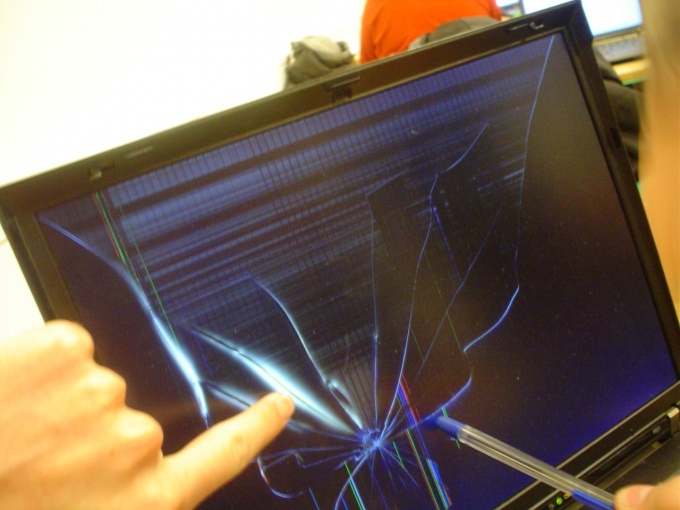 We perform this procedure carefully so as not to crush the new screen. Assemble the phone in reverse order. Be careful to set in place all removed details. Put the SIM card and the battery back into the phone. Turn it on and make sure the new display works. Also make sure that it continues to work all the buttons and vibrate, microphone, and speaker.